When you travel, what is your accommodation preference? Traveling with my party of three (my daughter, husband and I) we always appreciate a little extra room and a kitchen, so where possible we opt for an apartment hotel. 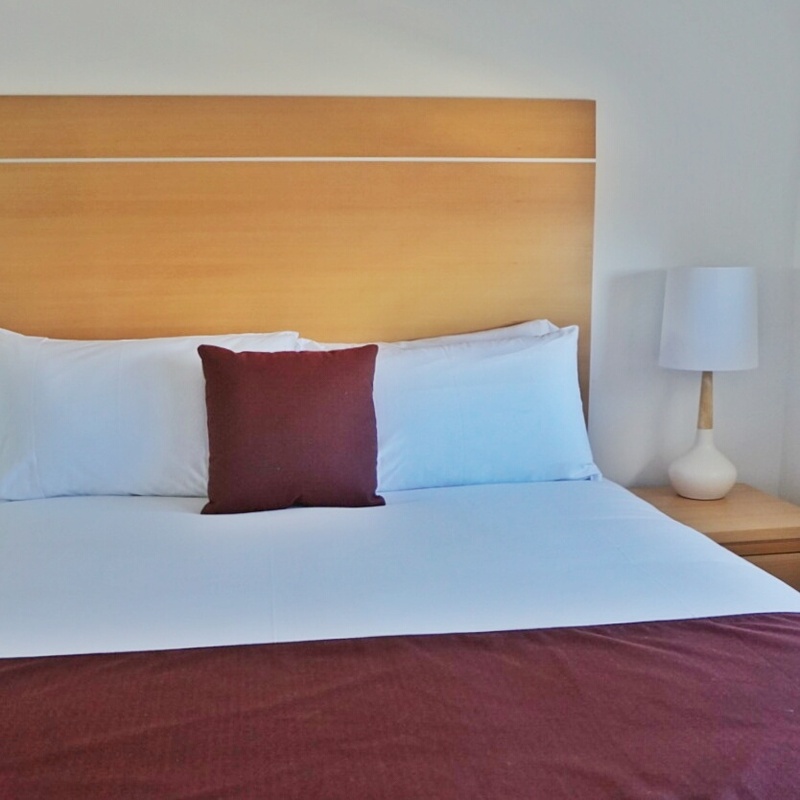 So when planning a trip for the very first time to Queensland’s capital city Brisbane, Direct Hotels – Pavillion on Brookes ticked the apartment hotel box and so much more for us. 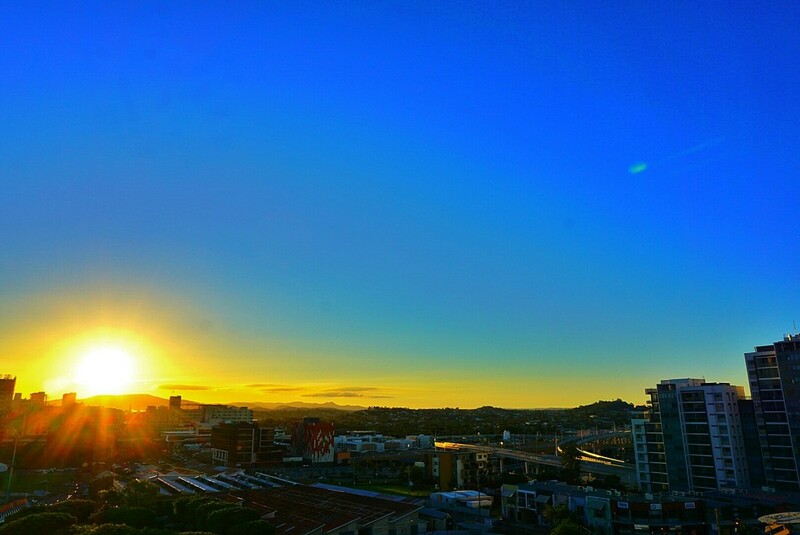 It is a brand spanking new building consisting of one and two bedroom apartments with killer city views and a super inviting rooftop BBQ area. 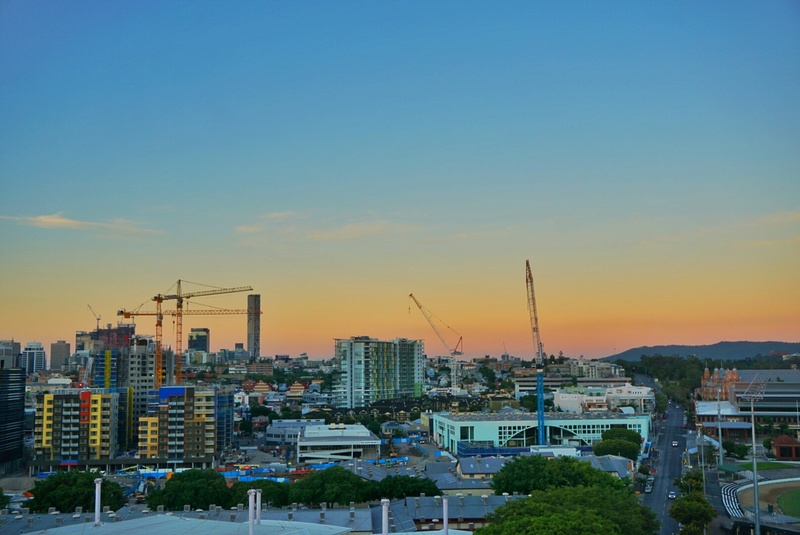 Located in Bowen Hills, one of Brisbane’s newest inner city urban developments, it was just a 10 minute drive from all the major attractions we were after including the CBD and South Bank. Bordering the landmark RNA Showgrounds precinct, Pavillion on Brookes was also an easy stroll to Fortitude Valley, which is an absolute hub for cafes, restaurants and shops and we made full use of the convenient location by strolling in for dinner, coffee and snacks. Lovely small development featuring brand new fully self contained apartments with secure undercover parking, the bonus of free wi-fi, Foxtel to all rooms, balconies and a rooftop to enjoy the superb Brisbane views, we really did not want for anything else during our two day stay. Wherever I stay, I always ask hotel staff for local recommendations on places to visit and eat and most of the time I am disappointed with some very lack luster responses along the lines of, “It depends what you like” and then they hand me over a generic brochure. 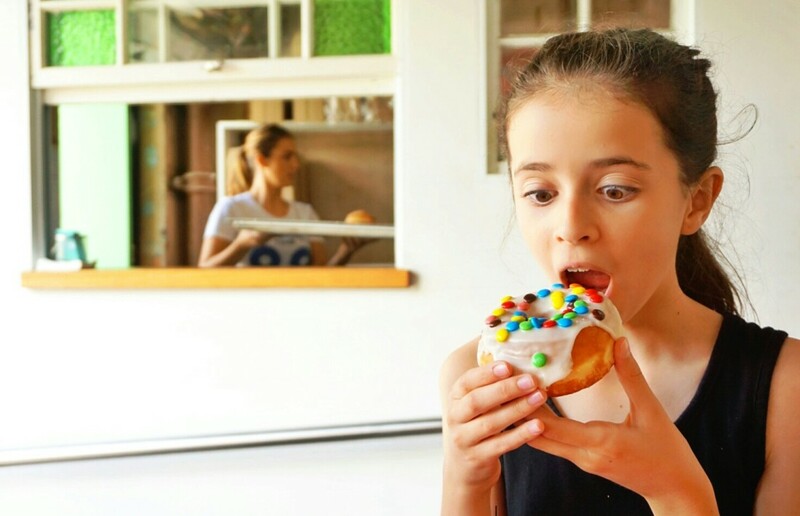 The staff at Pavillion on Brookes were brimming with lots of local tips and insider information and pointed us in the direction of many tasty options in the area including recommending doughnuts from the highly addictive Doughnut Time (which we visited three times during our stay). Another service we took advantage of while staying at Pavillion on Brookes was the restaurant chargeback. The service allows you to dine at select cafes and restaurants (we were given a list at check in of participating restaurants that were all within walking distance) and chargeback the bill to your room, so you only have to pay once at the end of your stay. We stayed in one of the two bedroom apartments which was all lovely and new and came with two bathrooms – so no morning arguments when we were all trying to get ready for our days out in Brisbane. When we opened the door to the apartment my eye was immediately drawn to the balcony at the end of the room. 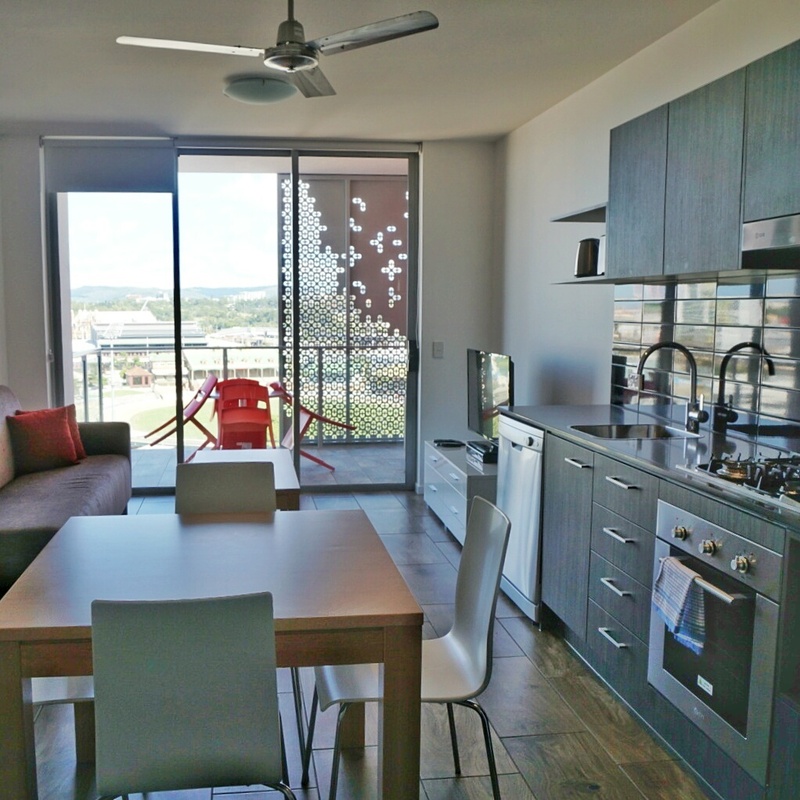 Not only did it allow natural light into the open plan living, dining and kitchen area it also had the loveliest view of Brisbane which for first time visitors to the city was very exciting to see. Even though we only stayed for two days, I found myself making full use of all the features in our apartment. The husband had some work to catch up on so he used the study nook just off the living/dining area while my daughter and I had a little sleep in each day. Having a kitchen while on holiday always come in handy for us, as we tend to start the day quietly, preferring to self cater and eat breakfast in our accommodation. Since it was lovely and warm in Brisbane we went swimming and instead of packing up wet dirty towels and swimming costumes, I used the powder provided and washing machine and dryer in the main bathroom, so that meant no dirty washing for the next leg of our trip! Pavillion on Brookes is a great find for those looking to enjoy all the delights of Brisbane but with a little extra room to move and easy on the budget. We really enjoyed the space of having two bedrooms and two bathrooms. We all wake up and go to sleep at different times so it was so nice not to tiptoe around in a small hotel room trying not to wake the others whilst still being in a great urban location. *Sophia was lucky enough to stay as a guest of Direct Hotels – Pavillion on Brookes on her first night of accommodation and happily paid for her second night. Do you head North or South when taking a holiday? We are a sun loving family, so we tend to go North for trips. Recently we made a two day stop in Brisbane and I am glad we did. Not only was the sun shining for the duration of our stay but we discovered that Brisbane is very friendly and vibrant city with so much to do and lots of free public amenities, art and urban spaces to explore. We had no trouble filling in our two days with some most excellent eating, walking, swimming and sightseeing in Brisbane. 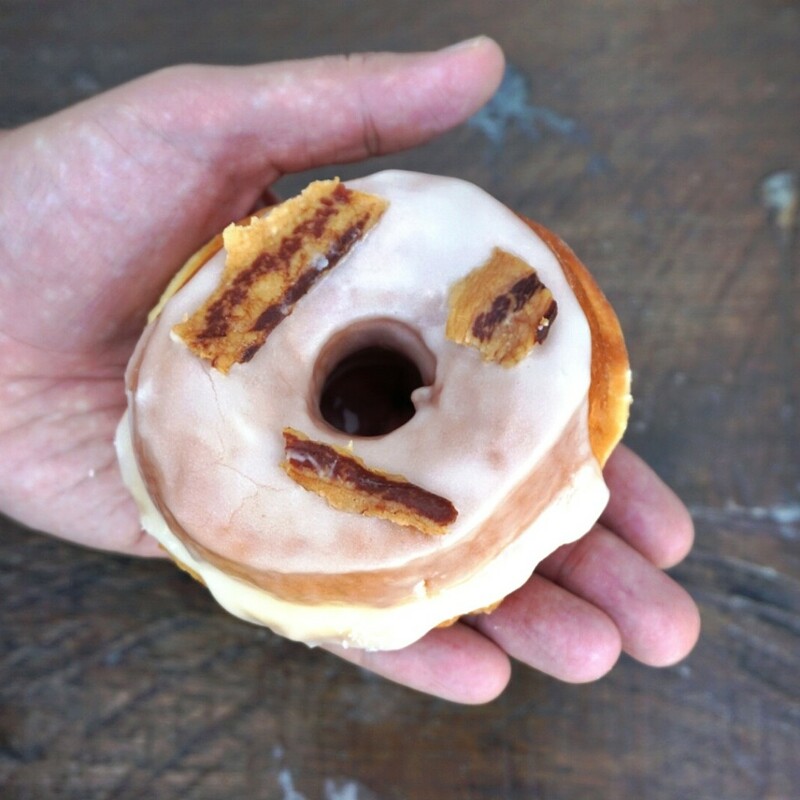 No, really, try one of the unique flavours on offer at Doughnut Time. This hole in the wall establishment offering up irresistible flavours such as “Ya bacon me Crazy”& “Back for S’more” is a perfect little vacation treat. Be warned the doughnuts are delicious and addictive (we visited three times during our stay)! Before visiting, I thought South Bank was a little touristy enclave in Brisbane full of over-priced restaurants and tourist only attractions – was I wrong! Firstly South Bank is enormous, located on the southern banks of the Brisbane River; it is 17 hectares of lush parklands, with a plethora of diverse restaurants and eateries, stunning river views, museums, galleries, an urban beach and the city’s convention centre. In our day at South Bank, we lunched on American style hot dogs and wings at The Manhattan Line. 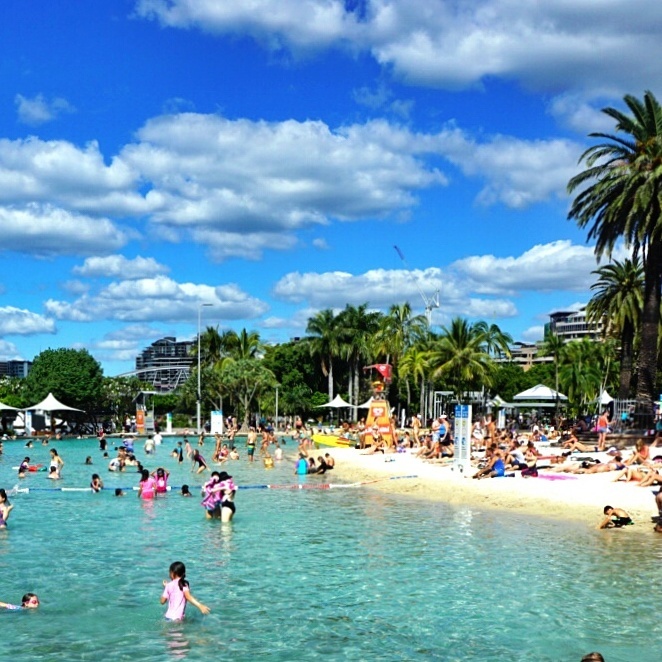 Followed by a swim at Australia’s only beach in the middle of the city, Streets Beach is a unique, man-made swimming beach, overlooking the CBD. Complete with crystal-clear lagoon, white-sand beaches, palm trees, pebbled creeks and shady shallows surrounded by subtropical trees and exotic plantings it was quite a fun (and free) experience on a hot day. Refreshed after a quick swim we dried off and changed and headed to Queensland Art Gallery – Gallery of Modern Art, which has free entry. 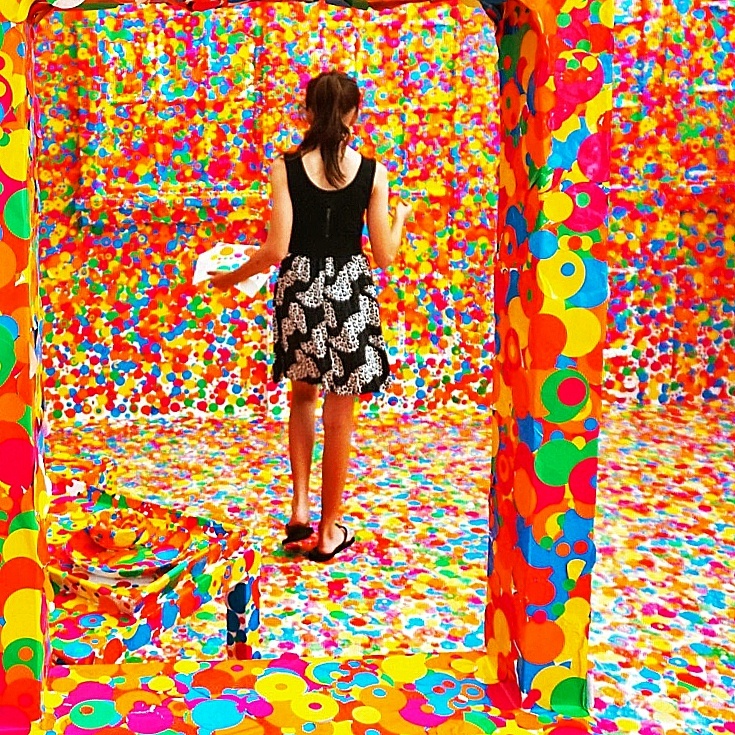 We got to experience the Obliteration Room by artist Yayoi Kusama before the exhibition closed. Upon entering the room everyone is given a sheet of colourful sticker dots to decorate the room as you see fit. Nothing was off limits; you could decorate the furniture, walls and floors. Amazing!! If you missed out on contributing to the room, staff were sure the exhibition would make another appearance in a few years. 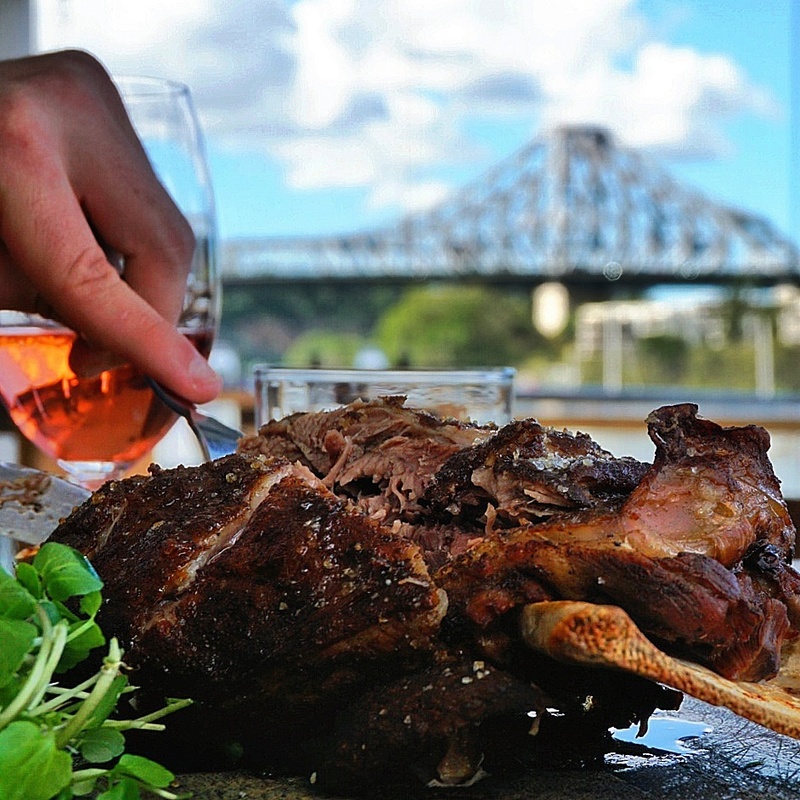 Great place to head for a bit of a fancy meal and spectacular views of Brisbane River & Story Bridge. After wondering through the shops in Brisbane’s CBD we were in the mood for less hustle & bustle for lunch and splurged on a meal at Pony Dining at Eagle Street Pier. Sitting on the balcony taking in the views and their famous wood smoked lamb shoulder was a divine way to end our last day in Brisbane. 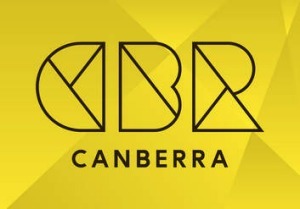 We flew direct with Qantas from Canberra. The two hour flight went quickly with the all the free wonderful movie options available on that route. We stayed at the Pavilion on Brookes a lovely small development featuring brand new fully self contained apartments with secure undercover parking, the bonus of free wi-fi, Foxtel to all rooms, balconies and a rooftop to enjoy the superb Brisbane views, we really did not want for anything else during our two day stay.